I’m really in love with this latest project. I will probably make one for all of my friends 🙂 These are super cute and fairly simple to sew. Warning #1 – burlap is a little messy/fuzzy. you will need a swiffer. Warning #2 – leave plenty of seam allowance, or your project will become much more difficult. First, you should know that this picture does not show enough seam allowance. This was my initial attempt I made, and it looks cute in this pic but didn’t end well. Pinterest has a million and a half (that is probably not an exaggeration in this case) different cup sleeve PDF patterns. Pick one. Make sure it fits on your cup correctly (I had to adjust mine a little bit). 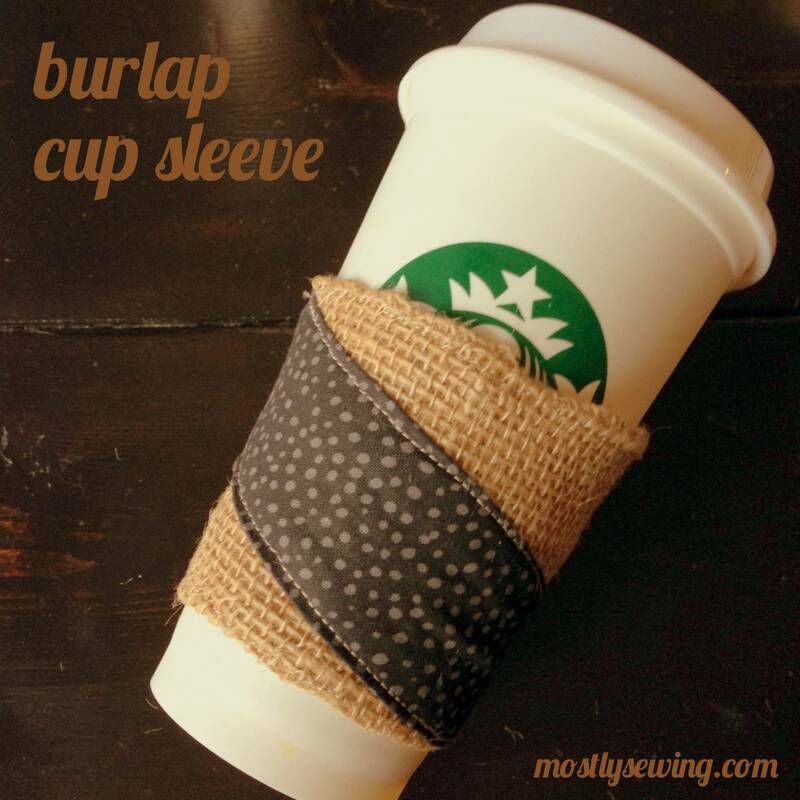 Cut two layers burlap with about a half inch around the edges. 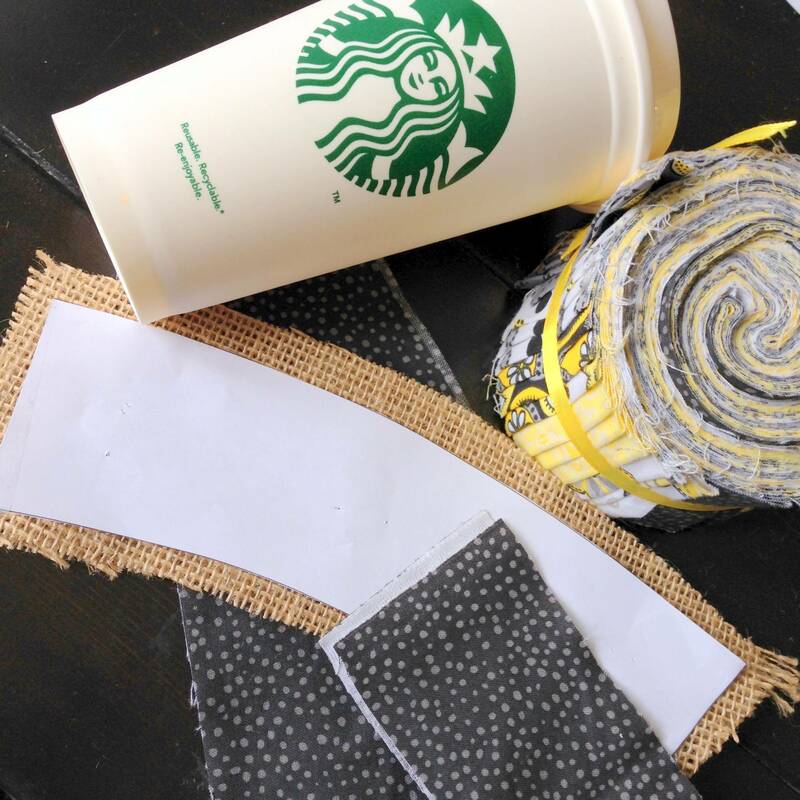 Now lay your fabric/ribbon/embellishments on the burlap and arrange however you want. I just did a simple design on mine, but my sister and best friend want sparkly ribbons on theirs. 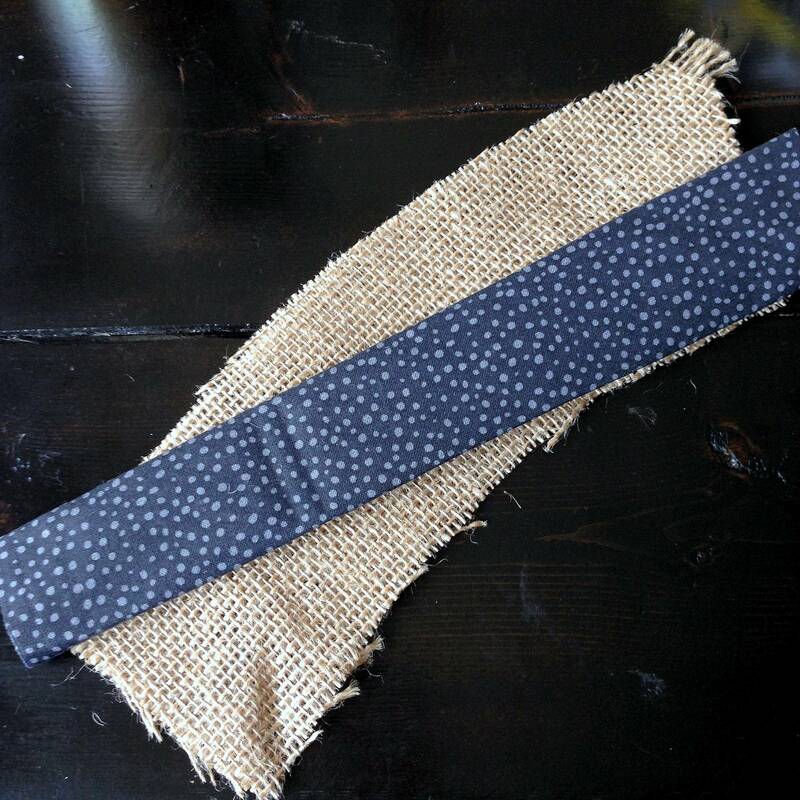 I sewed around the edges (right sides together with embellishments in between) before sewing down the embellishments – they should be pinned to the outside burlap piece. Flip right side out, press, and top stitch along edge. Sew down embellishments. I found that sewing down last helps to flatten the sleeve. Sewing the two ends together is a little difficult. Because it’s a pretty small piece of fabric, you might sew through to the other side. Most people add a button or velcro, but I didn’t like the look of the button. I was able to squish the pieces together and it fit under the sewing machine eventually. This project was so fun, and once I figured it out, it didn’t take too long. Planning on making many more!! Next Post Friday Faves – Happy Spring! !